Oops -- Guess he forgot this case - CHARTER SCHOOL WATCHDOG http://www.charterschoolwatchdog. 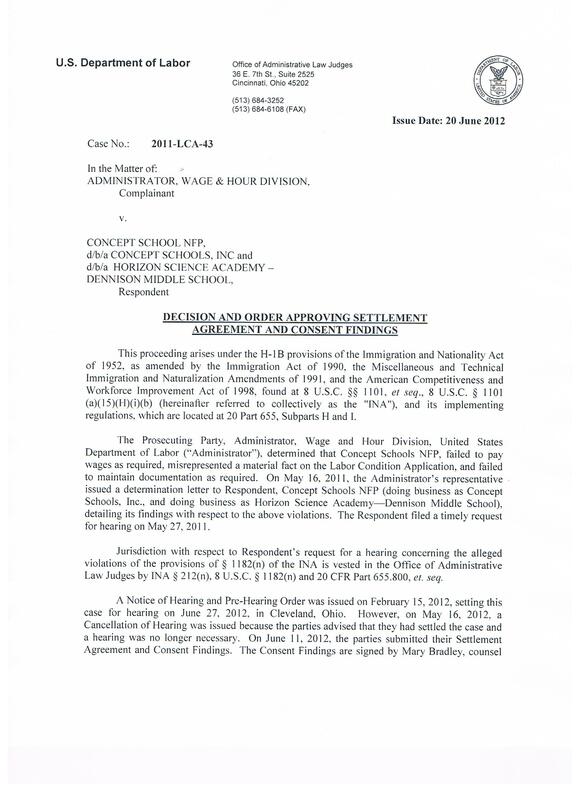 Remember when Salim Ucan aka Sam Ucan of Concept Schools denied that there was an active investigation by the Department of Labor about the labor practices at Concept Schools? We knew that Sam was fibbing then but we had to wait a little longer for the feds to actually publish their findings (like four years long). Now considering that Sam is the Vice-President of Concept Schools it would surely seem that he knew about the ongoing DOL investigation, subsequent findings, and the appeal made by Concept Schools, especially since we’re pretty sure that Sam or one of his cronies had to authorize all the tax dollars used to pay the lawyers to defend Concept Schools and Horizon Science Academy Denison against the Department of Labor. And if the schools via US tax dollars did not pay for those expensive lawyers, who did? We sure would like to know – and we suspect the American public would to. But more than that, why exactly did they waste the money on lawyers to defend a case that they knew full well was not only legitimate but likewise bound to eventually happen – meaning that one of the Turkish guys or gals that was being extorted would and did turn them in? The case in point is that of one of the Concept’s school former employees, a former Turkish Gulenist who was brought over from Istanbul under the ruse of being employed as Horizon Science Academy Denison’s IT guy. But instead of being the IT guy – he was given a teaching job, teaching computer classes and paid far less than what the boys put down on his H1-B visa application and in accordance with the prevailing wage. 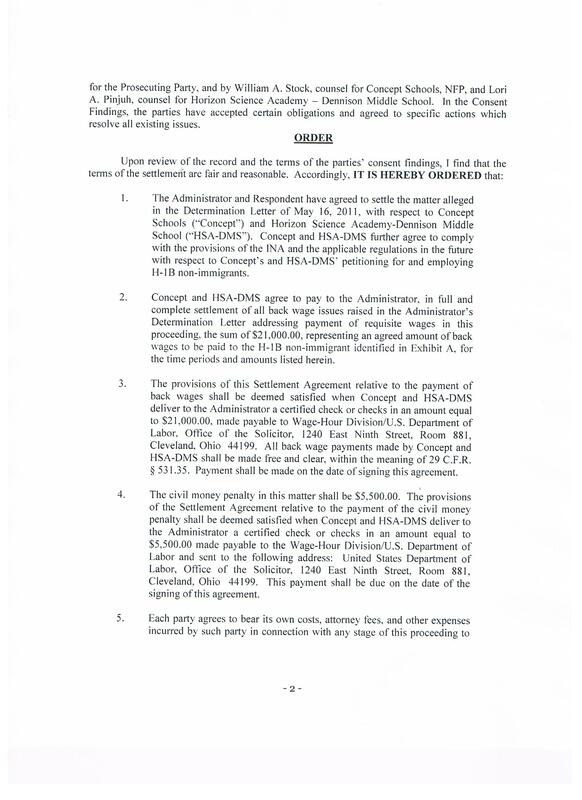 So the Turkish guy got a little pissed about having to give back the “involuntary” Tuzuk money out of the already “discounted” salary, and he reported the boys to the Department of Labor four years ago. A year ago the Department of Labor ruled in the Turkish guy’s favor, but as usual – the boys appealed it because if they didn't – it would have sent a message to the other Turkish guys who likewise – are getting scammed by the boys. So a year later, the boys had to settle their appeal and give the guy most -- not all -- of his money – like it or not. In addition, they were fined $5500.00 for their scam. Again we ask – where’s the money coming from to pay the Turkish guy his back wages and the DOL imposed fine? Personally, we think Sam should come up with the bucks – after all he was the one lying to the American public, all the while feigning ignorance. Maybe he can take up an extra Tuzuk collection to pay it off. Or how about Murat Sagnak who was the principal at Horizon Science Academy Denison and Engin Blackstone who was the Dean of Academics at the time they were sticking it to one of their fellow Turkish "friends? But we have to believe that instead of the Gulenites having to cough up the cash – it will instead – and once again – be the American taxpayers who foot the bill. H1-B visa applications for a period of two years – but we found little evidence of that penalty in the settlement -- why not? Instead the feds said that the boys had to comply with the “applicable regulations in the future,” essentially giving them a tap on the wrist, instead of what they actually deserve – good old fashioned jail time and a permanent ban from H1-B visa applications. 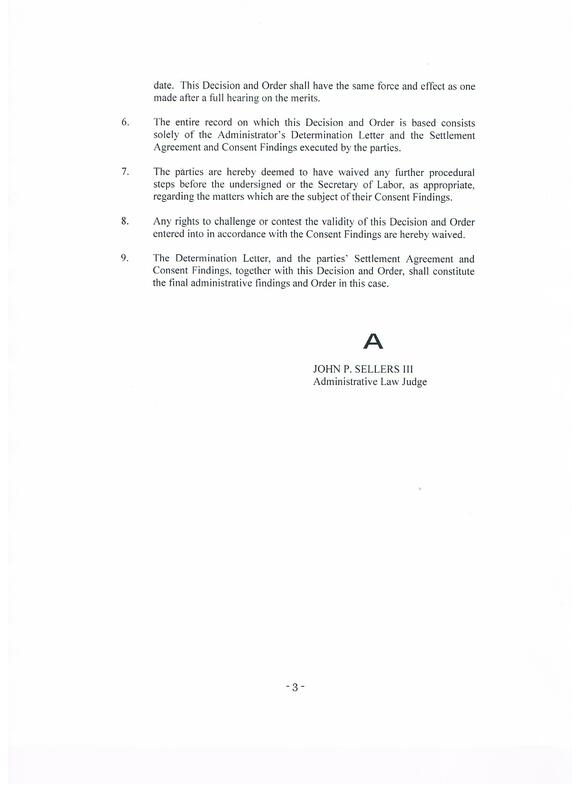 And what about the part in the “settlement” (which by the way the actual claimant had no say in the “settlement agreement), where it states, “Each party agrees to bear its own costs, attorney fees, and other expenses incurred…” What that means is that once again the American public is getting it both ways – paying for the boys’ defense lawyers via public school funding and paying for the feds’ case via taxpayer funds. And the guy who actually turned them in for their criminal activities – we guarantee he got far less than the lawyers did when all was said and done. It makes us wonder whose best interests the Department of Labor is really looking out for – is it the American public or Gulen’s boys? Food for thought – if they are sticking it to their own Turkish boys, what are they doing to the American employees? We’ll keep you posted on this and post the file in its entirety once we get it. Meanwhile, feel free to contact the Cleveland Department of Labor and request a copy of the file under the Freedom of Information Act. And someone tie a finger around Sam's finger so that the next time (and there will be) he is questioned, he can remember little things like his organization getting sued for lying to the government and underpaying employees.